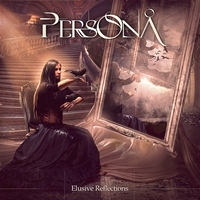 It takes a lot to stand out and impress when it comes to female-fronted symphonic/progressive metal. 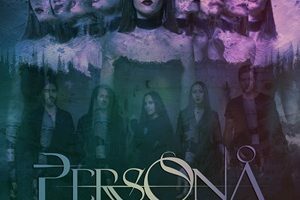 One really needs to find a way to sell your product, and the Tunisian band Persona does a thorough job of it with their debut Elusive Reflections. Rare is the band that can come out of the gate so confidently displaying such diversity in the genre. Incorporating some Arabic/North African influences into their mix (instantly recognizable at the opening of “Somebody Else”), it’s clear that Persona aren’t out to rehash the same old tropes with their debut. The progressive riffing and lead work is equally impressive, and the combination of some of the heavy riffs with punchy yet emotive vocals sometimes recalls that of the Swedish Amaran (RIP) and a dash of Orphaned Land. You’ll get some surprisingly headbang-able cuts like “Halley” and “Monster” (which even sees a few death growls enter the mix) that will also wow with scorching solos, but the band isn’t afraid to relent on some tracks as well. There’s the upbeat synth-driven nature of “Ageless,” the epic closer “The Sea of Fallen Stars,” and the mellower and spellbinding “Torn” to ensure the listener is never bored. While the leadwork can be a showstopper, Jelena Dobric’s vocal performance is what seals the deal. Powerful enough to handle the heavy riffs, yet emotive enough to carry the weight when the time comes (again, see “Torn”), she has the pipes to get the band noticed and push them to the next level. Adding some geographic influences and plenty of diversity to their sound, Elusive Reflections is a debut that progressive metal fans should seek out. With such a strong debut, it’s hard not to think about the potential of the band moving forward. All but certain to be a sleeper hit this year.